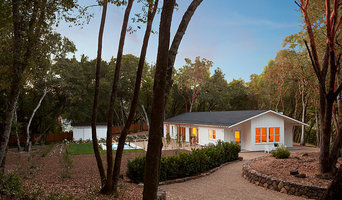 Founded by Principal, Chris Cahill and located in Sonoma, California, CahillStudio provides innovative design strategies to our clients with a focus on the design of custom houses and vineyard estate properties. Cahill Studio’s work is modern in concept and detailing, combining the fundamental elements of building design: site, structure and quality materials with careful consideration of space + light. In our approach to design, each client’s particular needs, desires, design goals and budget are utilized to create design solutions which are site responsive, innovative, and diverse in approach. Sustainability, and renewable cost-efficient building materials and systems are integrated throughout the design process, from concept to detailing. We enjoy the collaborative process. By engaging clients in the design process we introduce them to possibilities through design. I'm a British, BA(Hons) Architecture graduate with a background in architectural practice and real estate, now living in Glen Ellen, California. I've been focused on residential design since 2013, working with clients on a variety of projects, from simple staircase handrails, to kitchen / bathroom remodels, and full residences / guest houses. I pride myself on working closely with my clients from the beginning until after the project is completed, providing as much knowledge, opinion, coordination and handholding as needed. I am glad that I am able to call all of my clients my friends. Behind me is a large network of professionals who are ready to support my clients in our project ventures, so please get in touch so we can put them to work for you. Projects that I enjoy most: Efficiency of space, gorgeous finishes, and open plan living. At ELEVATIONarchitects, we take our responsibility seriously to be good stewards for our clients and the world of which we are a part. Our highest client compliment is when we are told that we gave them something they didn't even know they wanted. Our goal is to discover that nugget, that core value that transforms a building into your home. We are committed to a personal and modern approach to design and planning; while reflective of you, our designs are also responsive to the context of local customs, culture and environment. We possess the experience, ability, and commitment to provide hands-on attention to your project, from preliminary design, through construction; we are a full-service firm. We know that thorough service, specific to your needs, is essential for quality and on-budget construction. 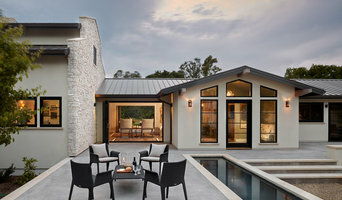 How do I find the best Eldridge architect for my home design project? It is best to hire a home architect who will be involved in all phases of the design process, from the initial concept to the completed construction. The architect is often the first person you will hire for your project. If necessary, they might also help you select and hire California subcontractors, which can include the builders, engineers and landscaper. Interior architects are also involved in negotiating contracts for all involved participants. It is for these reasons that it is extremely important for you to have a good relationship with the Eldridge residential architect you hire. He or she can be the tie-breaking vote between you and the general contractor and can be your biggest advocate during the construction process. Different architecture firms in Eldridge, CA provide different services, so the scope of the work can span from pre-design environmental impact studies to selecting furniture and finishes, depending on what your specific needs are. It is very important to hire the right professional for the job. Remember that the most well-known or established designer might not provide the best architectural services for your needs. It all comes down to the individual project. Research and ask people whose work you like for recommendations. It's important to have somewhat of an idea of the style of house architecture that you prefer, as well as the amount you would like to spend. 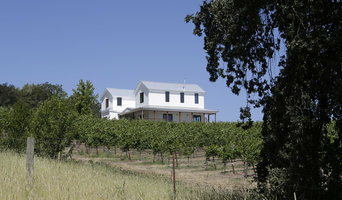 Residential architects in Eldridge, CA are natural problem solvers. They will assess the entire situation and help you to solve your problems too. Don't settle for a single company too early. Call and interview a few. Make sure that you feel like your personalities will mesh well and that you like their professional perspective. 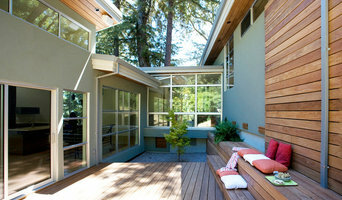 Find a home architect in Eldridge, CA on Houzz. Narrow your search in the Professionals section of the website to Eldridge architects. You may also look through photos of California projects to find interior architects and building designers who have worked on a project similar to yours.